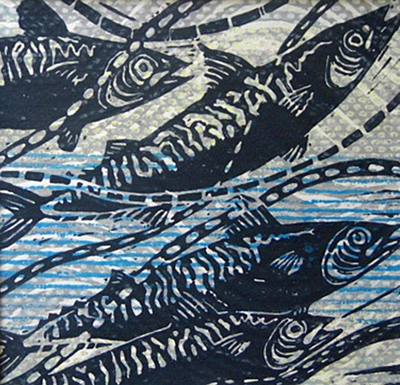 The course offers an introduction into lino printing. You will learn how to create a two coloured lino print and experiment with mixing colours to create your own design to be printed onto cards or paper. The course is suited to beginners or people with some experience, that would like to develop their skills further. Debbie has a degree in woven and printed textiles. She has worked as a screen printer for two years and is currently an Art teacher in a secondary school. Debbie has also been producing lino and collagraph prints for the last three years and selling in local galleries. Please feel free to bring your own ink and cards if you prefer. IT COULD GETMESSY SO PLEASE BRING AN APRON OR WEAR SCRUFFY CLOTHES.